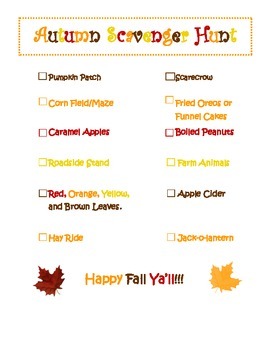 On your way to the pumpkin patch with the family or on a field trip!? This scavenger hunt will make the trip more fun, and keep the children busy on their way. I hope you enjoy it as much as our family has!